When commercial real estate utilization gets maximized, the total cost per employee or per unit of production is minimized, helping control costs. While there's an old adage that a company can't cut its way to profitability, savings still accrue to EBITDA and net profit. Every unnecessary space generates additional logistical complexities along with the dollars-and-cents impact of having to pay rent. An optimized CRE portfolio is one that places less demands on the company's operating departments. Better running spaces mean fewer chances of problems that could turn into law suits. 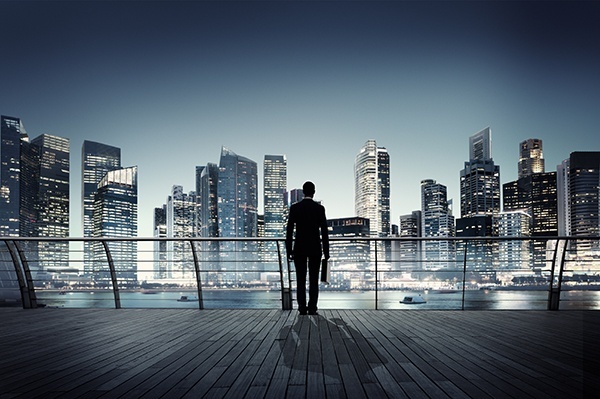 If your company reduces the number of offices it operates as a means of maximizing its commercial real estate utilization, it could also reduce its legal risk by operating in fewer jurisdictions. A company with well running locations is one that has constant opportunities for positive press releases, photographs of smiling busy people at bustling offices and the like. It's easier to market your success when you're actually having it. Optimized spaces are usually full enough to have a good buzz. This is good for the psychology of the sales teams that occupy them, propelling them to higher levels of production. Ultimately, your CEO wants to have a well-running platform on which he or she can build your company's next string of growth initiatives. Portfolio utilization optimization is one of the many business initiatives that go into building that platform for growth. Find offices that are underutilized and either close them or move them to smaller spaces. Study your best locations to find out what is working, then replicate those practices in your other locations. Work with dedicated tenant representatives every time that you sign a lease to ensure that someone who is truly on your side is providing market information and finding the best possible deal for you. Own the spaces you know you want to keep over the extremely long term, and lease anything with a shorter time horizon. Audit every lease to make sure that you are only paying what the document obliges you as opposed to blindingly paying the amount that your landlord calculates. Consider reconfiguring full offices to squeeze more people into the same space. See our FREE Office Space Calculators and other great tools!